How do I change the language preference for my institution's entire account? 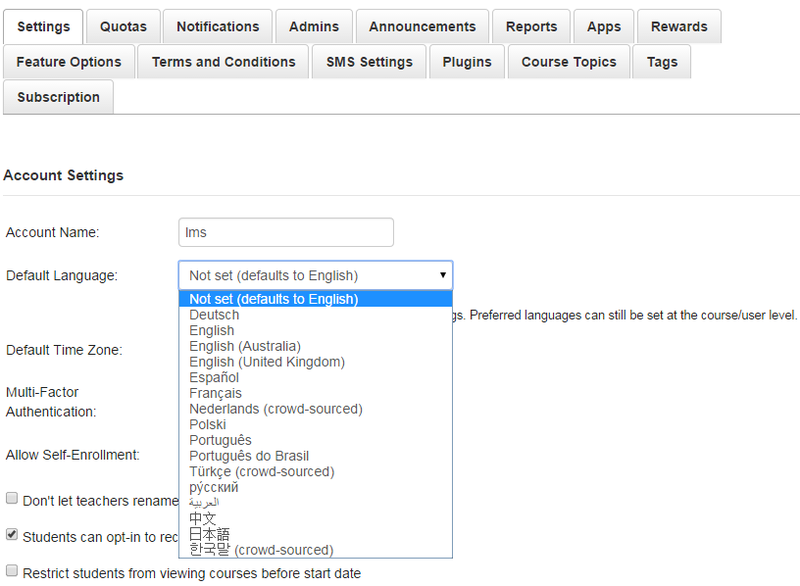 If you are an international institution, you can change the default language for your entire account. This change will override any browser/OS language settings. 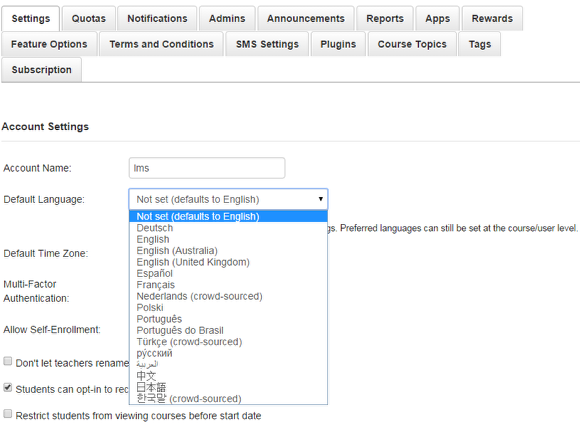 Please note that preferred languages can still be set at the course/user level. In the Settings tab, click the Default Language drop-down menu. Select the new default language. Note: Users can select a preferred language in their user settings, which will override the account default. View Sublime LMS in the new default language for your account.